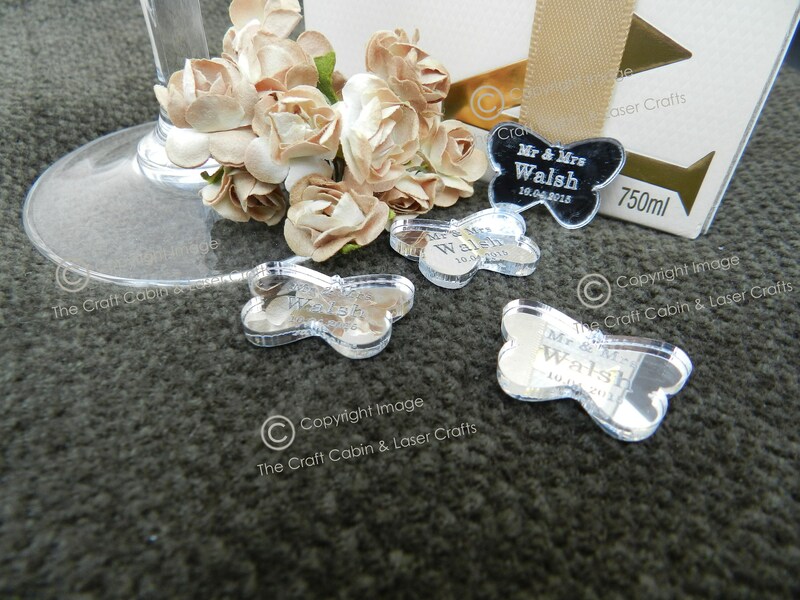 Perosonalised Wedding Custom Confetti. 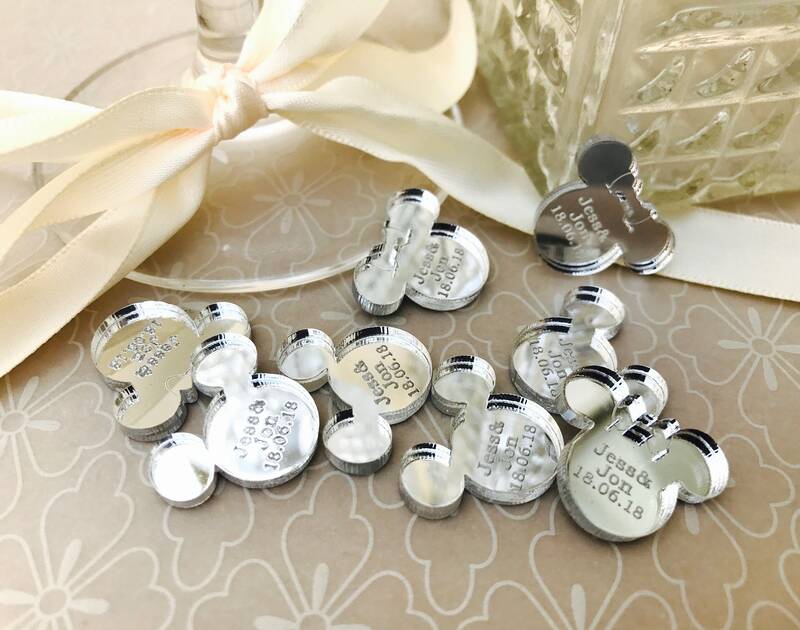 Silver Wedding Table Decor. 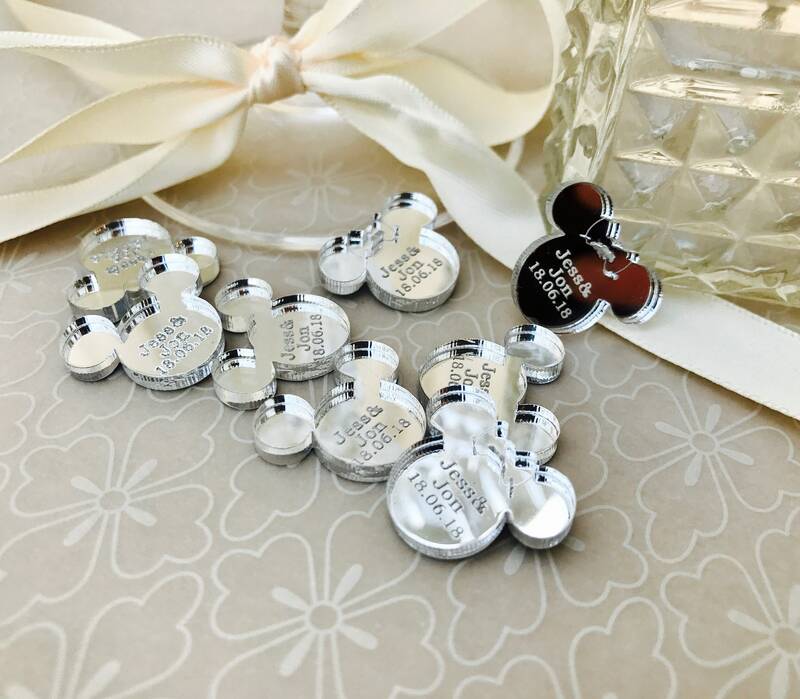 For Disney Party Decorations, Christmas, New Year, Wedding, Birthdays. 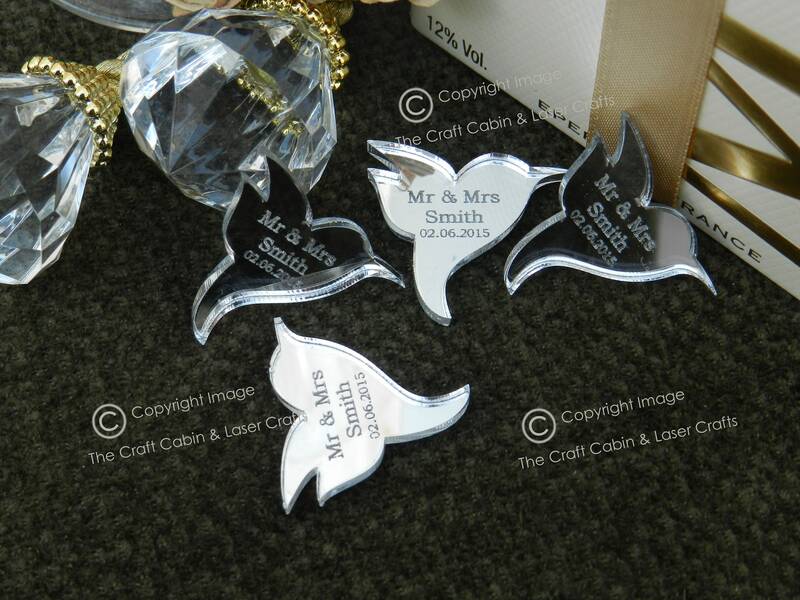 Beautiful, laser cut table confetti. 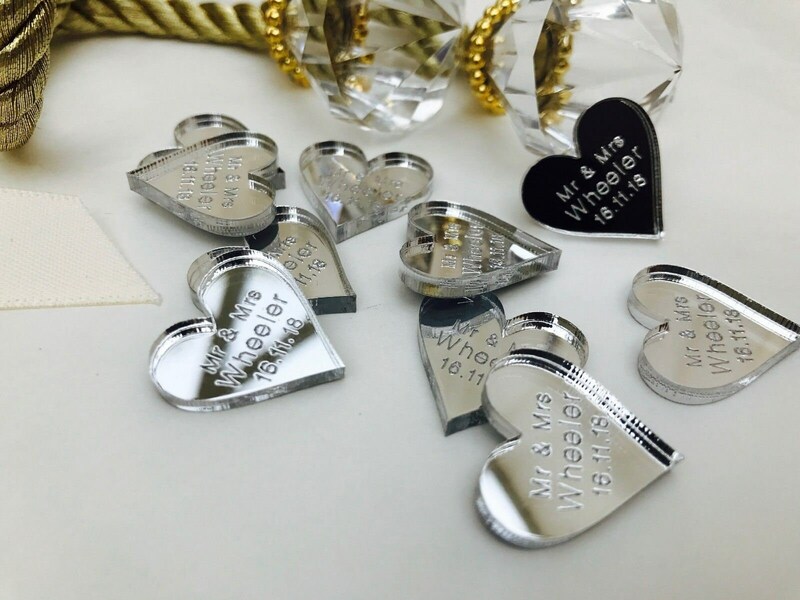 Cut from 3mm high quality silver mirror acrylic. Suitable for: weddings, anniversaries, birthdays etc. 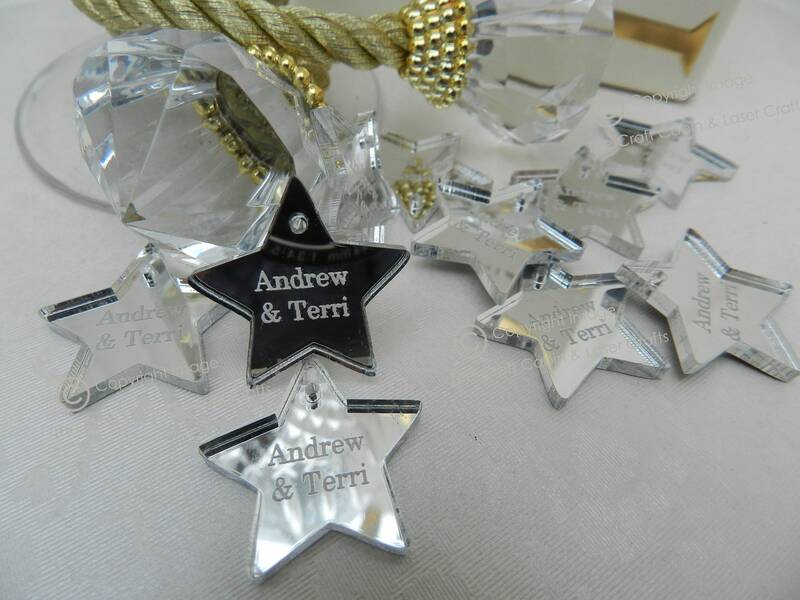 Personalised with engraved names & a 6 digit numerical date. 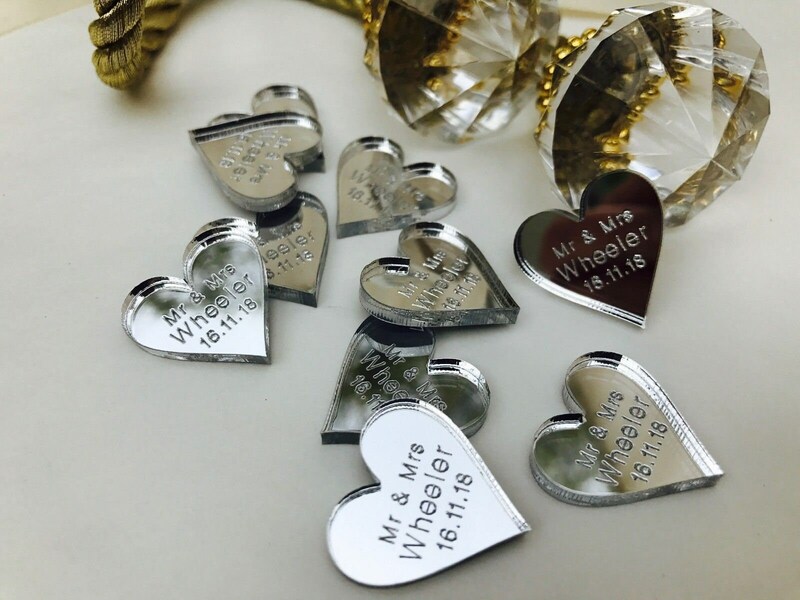 Personalised with your surname/names, and a special date. Please allow 5-7 working days for engraving and despatch of goods. Upto 20 characters. Same text on each piece. 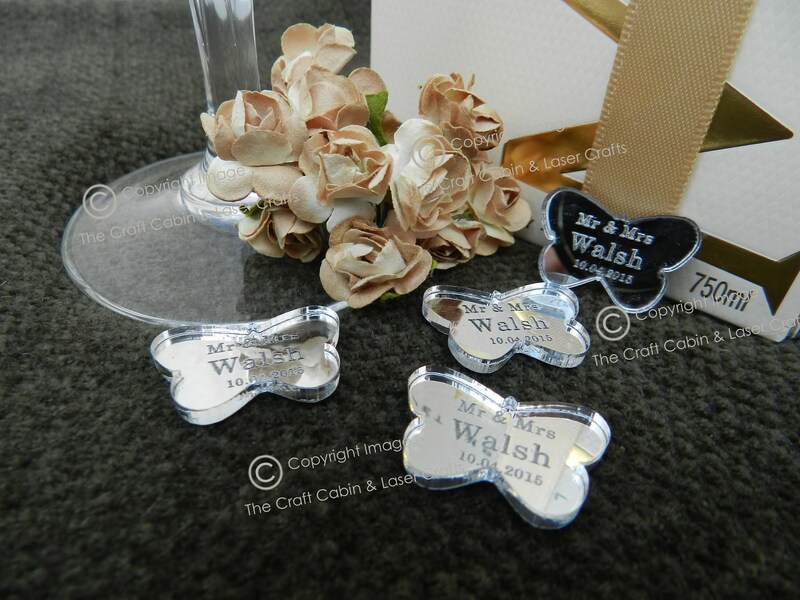 *Please note* samples are not personalised, only quantities over 10 can be personalised.